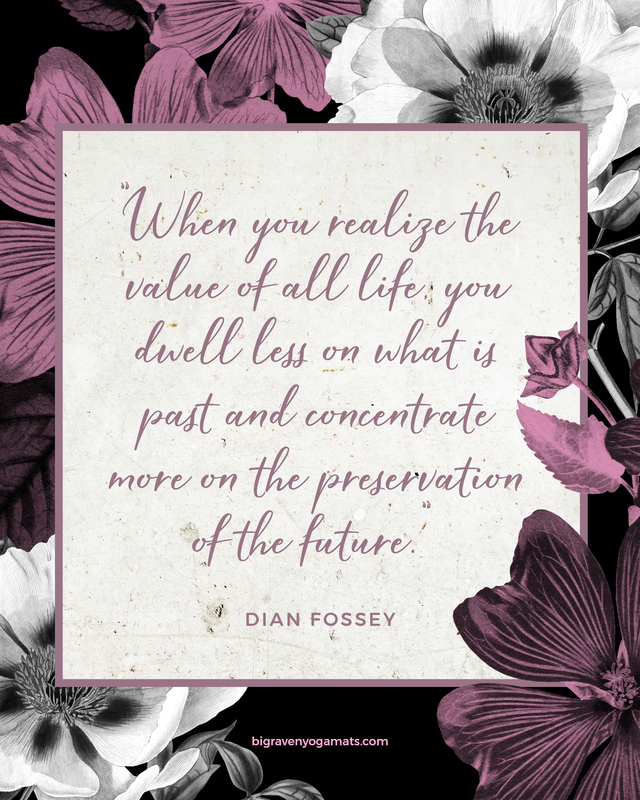 This week’s Freebie Friday is a quote by the late gorilla primatologist Dian Fossey. She was murdered in Rwanda in 1985 for her conservation efforts, and it was the last entry in her diary. This ties in to this week’s Mat of the Week, Terry in His Heartland, my own personal tribute to my (rather hirsute) father. As with all of the mats in our Compassion collection, a portion of the proceeds from the sale of each of these mats will go to benefit a nonprofit foundation; in this case, The Dian Fossey Gorilla Fund.